TV is not something I've ever spoken about on my blog before as being first and foremost a beauty, fashion and lifestyle blog, writing about TV didn't seem to fit in anywhere. However, I watch a lot of shows and love sitting down when I have a bit of time and having a Netflix marathon. After reading lots of blog posts about TV shows and films recently, I thought it was about time I shared a few of my favourites.. The OC follows a group of teenagers and their families living in the Orange County. It is a typical American teen drama and it will always have a special place in my heart. I grew up watching this show from about the age 14. It is just a fun, entertaining show and one that I still today absolutely love. It was the first TV show that I got obsessed with and binge watched. I also had a massive crush on the adorable, geeky Seth Cohen and to this day I still kind of do! Although, series 4 was definitely not the best compared to the other series, I still think it ended too soon and would have liked to have seen another series. 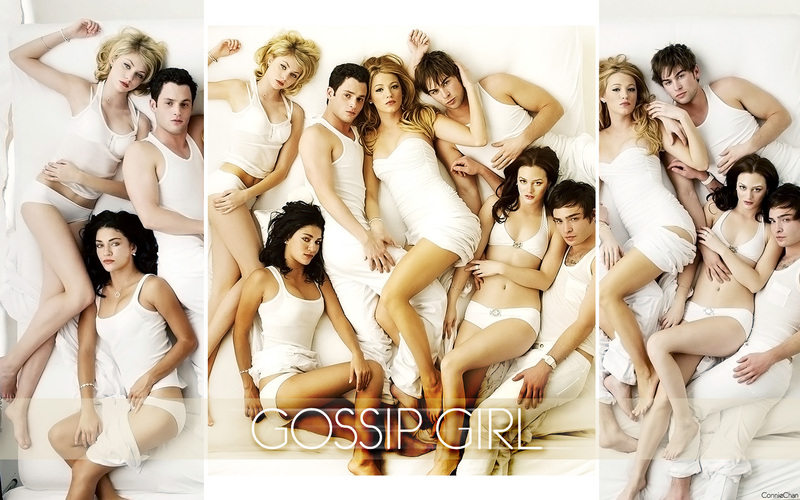 Watch this if you like: One Tree Hill, Gossip Girl. For those who don't know The Walking Dead follows the lives of a group of people in the weeks and months following a zombie apocalypse. That basic description of the show might not make you want to watch it, it didn't me. I started watching it from the beginning when the show was already on season three, as I didn't think it would be something I like due to the whole zombie element, but the show is so much more than that. There's amazing, complex characters that you will fall in love with and there will most definitely be the evil ones you hate. It's about living together, surviving and overcoming certain situations. Honestly, you will cry. I've lost count how many times I shed a tear. You will also get mad at the brilliant, but annoying cliff hangers which will leave you at the edge of your seat and desperate for the next episode. This is my favourite TV show by far and I recommend you give it a go. I'm picking this show, for one reason and one reason only; Chuck and Blair. Their characters were brilliant, complex, smart and witty and there was always some drama going on somewhere, but they were fun! They also had some amazing story lines. I did really enjoy this show, but some of the other story lines were just plain silly and irrelevant, whilst some characters were just very annoying that I wish would just go away (Jenny and Vanessa anyone?). But overall, I loved this show, the big reveal of Gossip Girl was disappointing, but the Chuck and Blair story ended perfectly which is all I care about really! Watch this if you like: Dawson's Creek, Vampire Diaries. This show is like an up and coming favourite for me. The first season follows the lives of two detectives and their hunt for a serial killer which is revisited 17 years later. Woody Harrelson and Matthew McConaughey star in this and are brilliant from the start. The concept and story is compelling, dark and suspenseful. If you're like detective dramas and murder mysteries, I'd recommend you give this a go, you won't be disappointed. What is your favourite TV show? Recommend me some! Have you seen any of these?